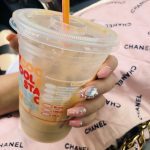 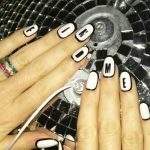 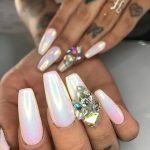 Jordyn Jones has white almond nails with subtle Chanel logo details. 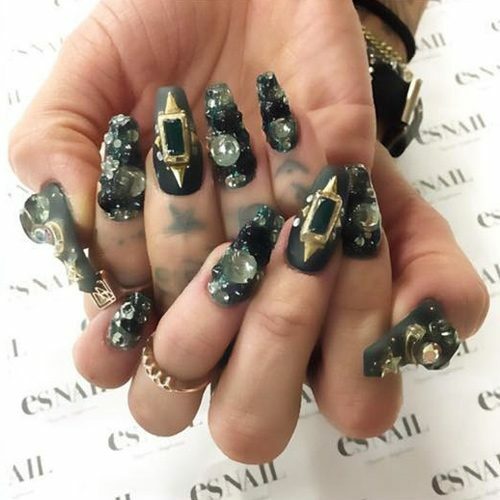 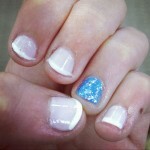 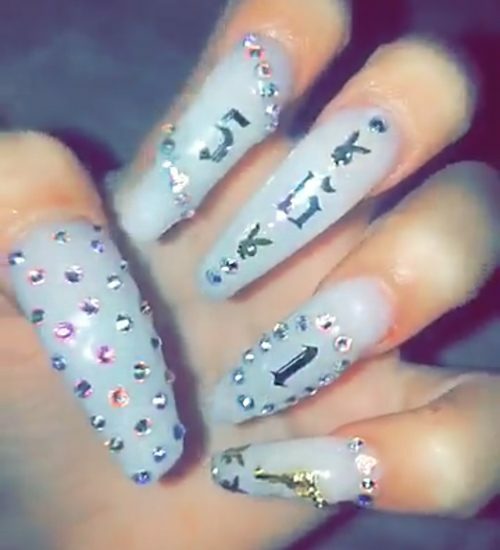 Danielle Bregoli aqua blue nails are decorated with various stud designs. 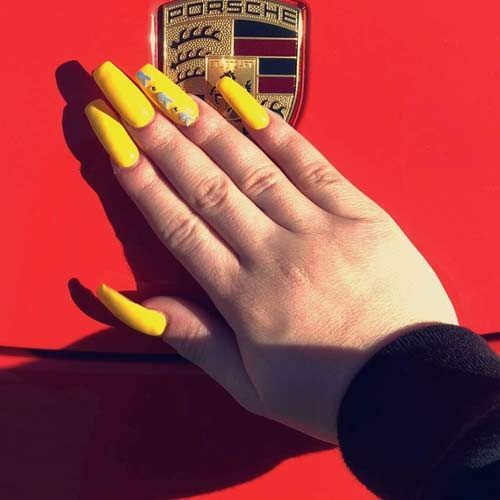 Danielle Bregoli has bright yellow nails polish on her nails. 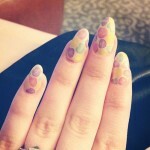 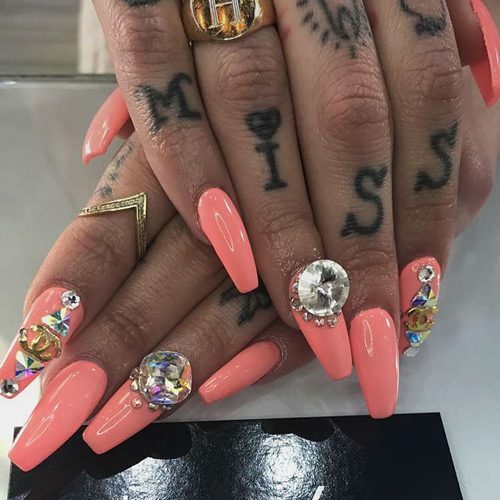 Neon Hitch’s colorful nails are encrusted with lots of charms and multicolored beads. 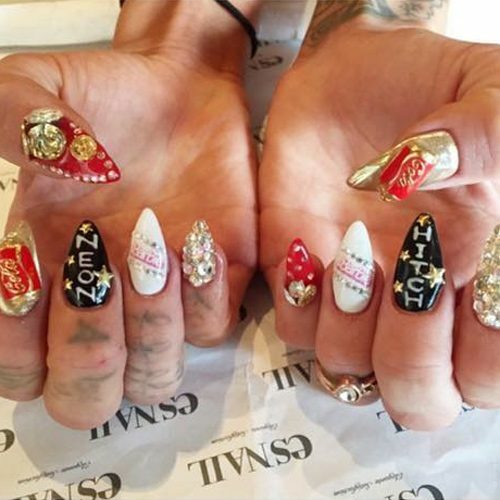 Hanna Beth Merjos opted for glossy peach lacquer with charms, logos ans jewels ornaments. 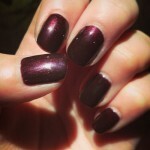 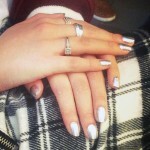 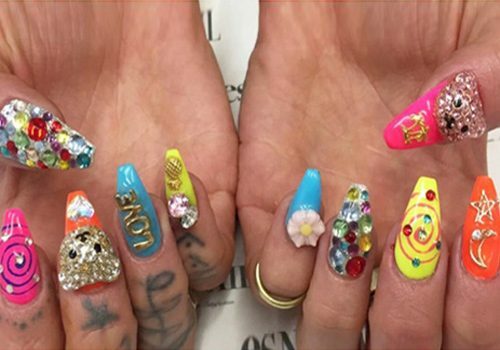 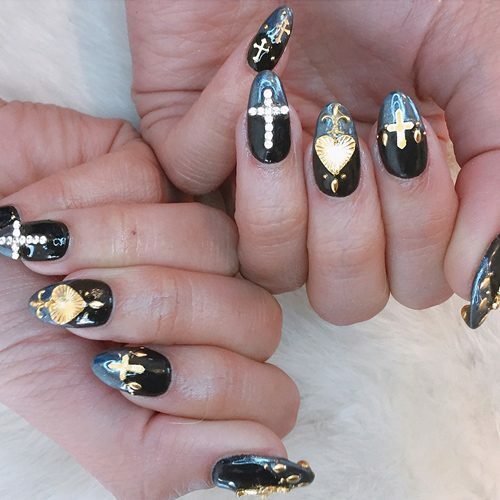 Neon Hitch jewel-encrusted nails were done at esNail LA saloon. 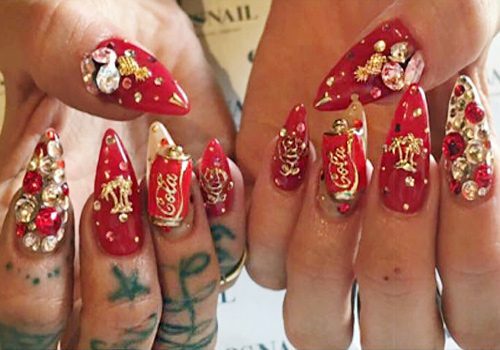 Neon Hitch rocked a red with gold charms, beads, studs and Coca Cola cans.